A new study published in the Journal of Epidemiology & Community Health suggests that men who become fathers before the age of 25 may be at a greater risk of death in middle age. Study authors note that previous studies have linked young fathers with poorer physical health in midlife, leading to earlier death—compared to men who become dads later in life. Researchers set out to determine whether there is an underlying link between young fatherhood and the risk of early death. The team analyzed data taken from a 1950 Finnish census that involved over 30,500 men who were born between 1940 and 1950. All men were fathers by the time they turned 45 years-of-age; using mortality data from 1985 to 2005, the men were tracked from age 45 until death—or until the age of 54. Researchers discovered that about 15% of the men had become fathers by the age of 22, while 29% were fathers between the ages of 22 and 24; 18% became fathers between the ages of 25 and 26, 10% between the ages of 27 and 29 and 19% became fathers between the ages of 30 and 34. The average age of fatherhood was between 25 and 26-years-old—so men who fell into this group were used as reference for the findings. During the 10-year study period, one in 20 fathers died—21% died from ischemic heart disease and 16% died from alcohol-related causes. Compared to the average age of first-time fatherhood, participants who became fathers at the age of 22 had a 26% greater risk of death during midlife; men who had their first child between the ages of 22 and 24 had a 14% greater risk of death in midlife. Men who became first-time fathers between the ages of 30 and 44 had a 25% lower risk of death during midlife, compared to men who had their first child between the ages of 25 and 26. Einiö E. et al., “Is young fatherhood causally related to midlife mortality? A sibling fixed-effect study in Finland,” Journal of Epidemiology & Community Health, doi: 10.1136/jech-2015-205627, August 3, 2015. http://jech.bmj.com/content/early/2015/06/05/jech-2015-205627. 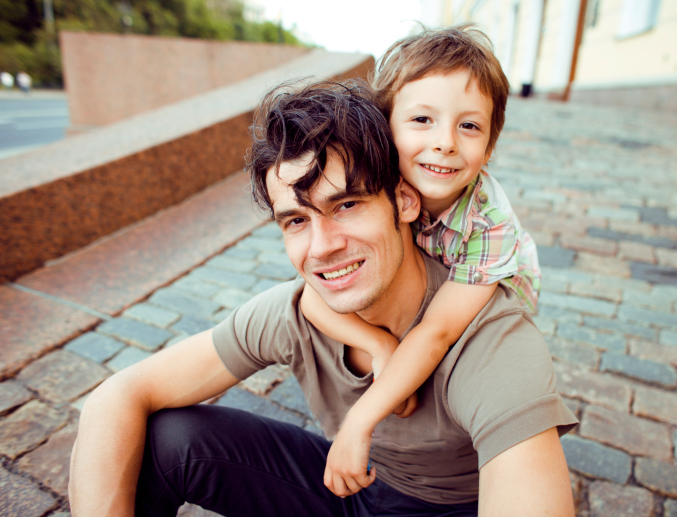 Whiteman, H., “Young dads at greater risk of death in middle age, study suggests,” Medical news Today web site, August 4, 2015; http://www.medicalnewstoday.com/articles/297665.php.